Visit booke.msscience.com for Web links to information about recycling bottles and cans. Activity Write one argument in support of a money deposit for bottles and cans and one argument against it. Provide data to support one of your arguments. Metals The manufacturing industry has been recycling all kinds of metals, especially steel, for decades. At least 25 percent of the steel in cans, appliances, and automobiles is recycled steel. Up to 100 percent of the steel in plates and beams used to build skyscrapers is made from reprocessed steel. About one metric ton of recycled steel saves about 1.1 metric tons of iron ore and 0.5 metric ton of coal. Using recycled steel to make new steel products reduces energy use by 75 percent. Other metals, including iron, copper, aluminum, and lead also can be recycled. You can conserve metals by recycling food cans, which are mostly steel, and aluminum cans. It takes less energy to make a can from recycled aluminum than from raw materials. Also, remember that recycled cans do not take up space in landfills. Glass When sterilized, glass bottles and jars can be reused. They also can be melted and re-formed into new bottles, especially those made of clear glass. Most glass bottles already contain at least 25 percent recycled glass. Glass can be recycled again and again. It never needs to be thrown away. Recycling about one metric ton of glass saves more than one metric ton of mineral resources and reduces the energy used to make new glass by 25 percent or more. What items are you recycling at home? Many communities have recycling programs. Recyclable items may be picked up at the curbside, taken to a collection site, or the resident may hire a licensed recycling handler to pick them up. What do you recycle in your home? This bar graph shows the recycling rates in the U. S. of six types of household items for the years 1990, 1995, and 2000. What are you and your classmates' recycling rates? For one week, list each glass, plastic, and aluminum item you use. Note which items you throw away and which ones you recycle. Calculate the percentage of glass, plastic, and aluminum you recycled. How do your percentages compare with those on the graph? r^L— j—- j What nonrenewable resource(s) \JLMiisiiiilii3SliaiiM d0 y0U conserve by recycling paper? Compost Grass clippings, leaves, and fruit and vegetable scraps that are discarded in a landfill can remain there for decades without breaking down. The same items can be turned into soil-enriching compost in just a few weeks, as shown in Figure 23. Many communities distribute compost bins to encourage residents to recycle fruit and vegetable scraps and yard waste. Buy Recycled People have become so good at recycling that recyclable materials are piling up, just waiting to be put to use. You can help by reading labels when you shop and choosing products that contain recycled materials. What other ways of recycling natural resources can you think of? Figure 23 Composting is a way of turning plant material you would otherwise throw away into rich garden soil. Dry leaves and weeds, grass clippings, vegetable trimmings, and nonmeat food scraps can be composted. 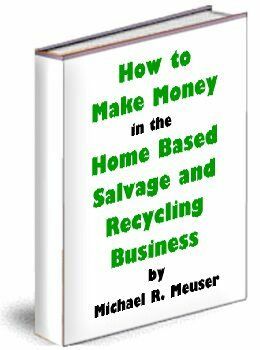 • The three Rs of conservation are reduce, reuse, and recycle. 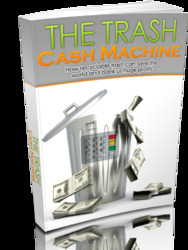 • You can contribute to conservation by reducing your use of natural resources. • Some items can be used more than once, such as reusable canvas bags for groceries. • Some items can be recycled, including some plastics, metal, glass, and paper. 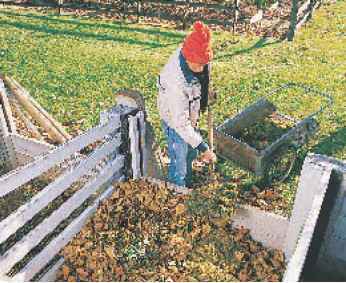 • Grass clippings, leaves, and fruit and vegetable scraps can be composted into rich garden soil. 1. Describe at least three actions you could take to reduce your use of natural resources. 2. Describe how you could reuse three items people usually throw away. 3. Think Critically Why is reusing something better than recycling it? 4. Make and Use Tables Make a table of data of the number of aluminum cans thrown away in the United States: 2.7 billion in 1970; 11.1 billion in 1974; 21.3 billion in 1978; 22.7 billion in 1982; 35.0 billion in 1986; 33.8 billion in 1990; 38.5 billion in 1994; 45.5 billion in 1998; 50.7 billion in 2001. ■ Research designs for solar panel cookers or box cookers. ■ Design a solar cooker that can be used to cook food. ■ Plan an experiment to measure the effectiveness of your solar cooker. WARNING: Be careful when cutting materials. Your solar cooker will get hot. Use insulated gloves or tongs to handle hot objects.